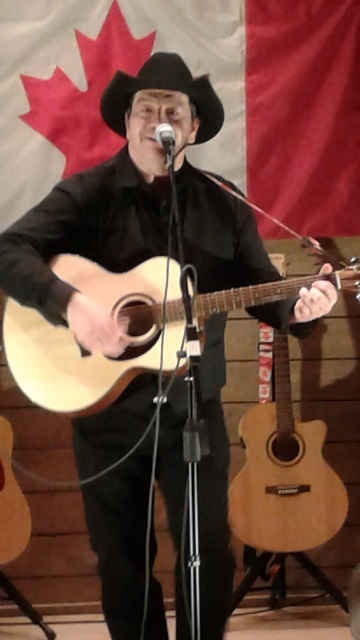 Taw Connors (Stompin Toms Son), brought the Stompin Tom Event Center in Skinners Pond, PEI down at the Center last night June 29/18.What an incredible performer! Taw was at his very best, singing for over 2 hours much of his fathers songs and even some of his own. Opening the show was popular Dan Drouin from Alberton, PEI whohad the audience in his hands singing most of his own material, for an hour non-stop. Dan is no stranger to the Event Center as he performed there last year and booked this year for more performances. 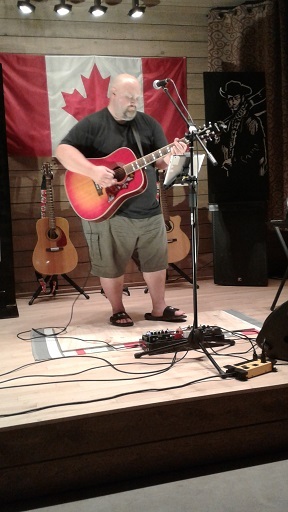 Dan has his own recording studio in his hometown, and is working on many CDprojects for artists such as Cory Gallant, Jamie Matthews, Robert & Bruce Jones, Abby Peters and many more. After the main show, Dan took part in the popular songwriters circle with other artists. The audience were really wound up with Taw singing the many songs of his father and many sang along with Taw. They even enjoyed Taws own songs from his CD entitled, (The Ode From The Road). Looking around the audience, one could tell they really enjoyed the songs of Stompin Tom while others all had smiles and enjoying the music. With each song Taw sang, he explained each written song and cracked jokes as well. He is a true performer not trying to over-shadow his father. The audience couldn't get enough of his performance giving him two standing ovations. The Event Center provided an outstanding Food Menu including, Oysters in the Shell, Striploin Steak, PEI Sausage, Chicken Kabob, Roasted Seasoned PEI Potatoes, Lobster Pasta Salad, Creamy Cold slaw, Shortbread cookies and Strawberry Rhubarb Cheesecake bars.